While the normal inflammatory cascade is self-limiting and crucial for host protection against invading pathogens and in the repair of damaged tissue, a wealth of evidence suggests that chronic inflammation is the engine driving carcinogenesis. 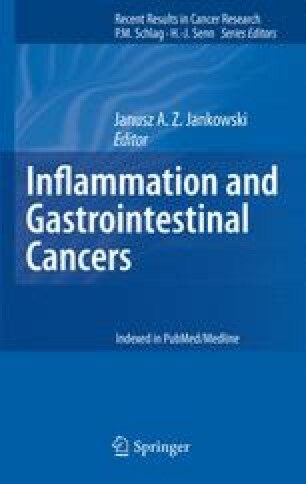 Over a period of almost 150 years the link between inflammation and cancer development has been well established. In this chapter we discuss the fundamental concepts and mechanisms behind normal inflammation as it pertains to wound healing. We further discuss the association of inflammation and its role in carcinogenesis, highlighting the different stages of cancer development, namely tumour initiation, promotion and progression. With both the innate and adaptive arms of the immune system being central to the inflammatory process, we examine the role of a number of immune effectors in contributing to the carcinogenic process. In addition, we highlight the influences of host genetics in altering cancer risk.